I put the little farmhouse tool box inside our storage shed with the intention of painting it "someday". Well, we ended up moving 2 years ago and the project got pushed to the very bottom of the list...until now! 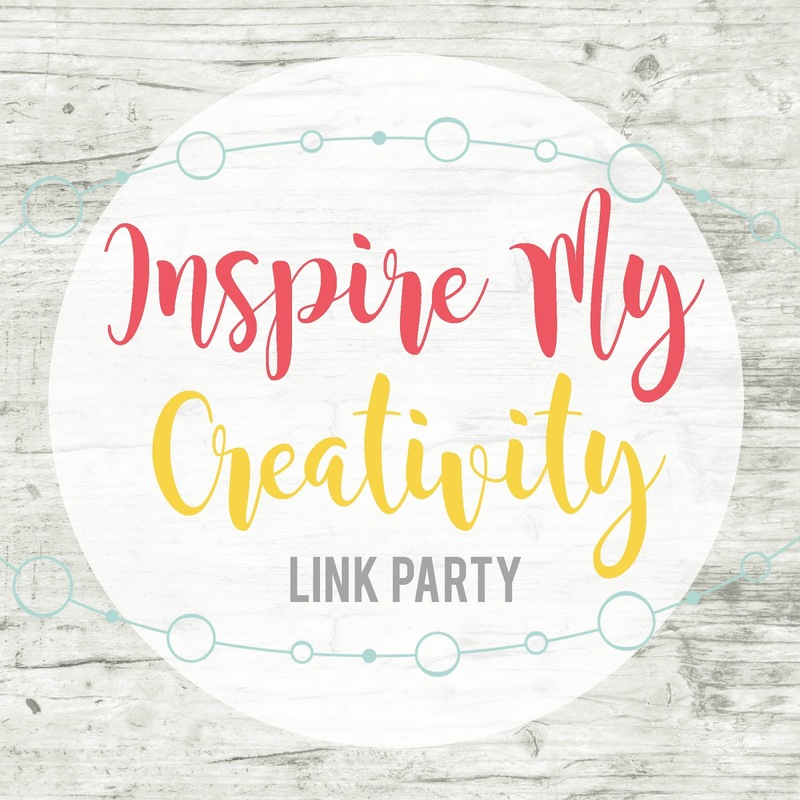 I'm co-hosting the Inspire My Creativity link party, and the theme for October is: Thrift Store Makeover. I thought this would be the perfect time to pull out that dated blue farmhouse tool box out of the shed and get to work on it. The hosts and link party are at the bottom of this post. 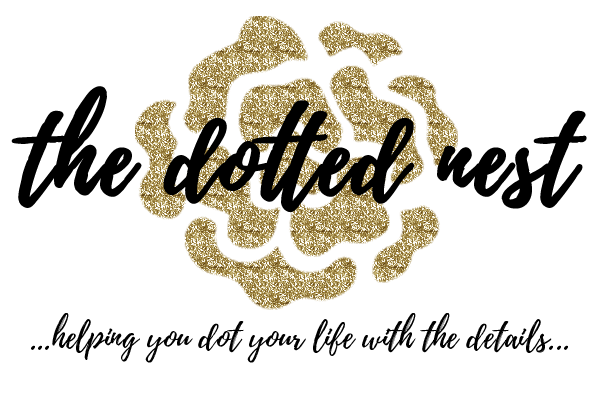 Please join in the fun and link up your favorite thrift store makeover too. I would love to see what you have been working on! This wood vintage farmhouse tool box was just sitting on a shelf at a thrift store all sad and blue (ugh. I'm sorry, but I had to...ha!) I could instantly see the vision I had for her. 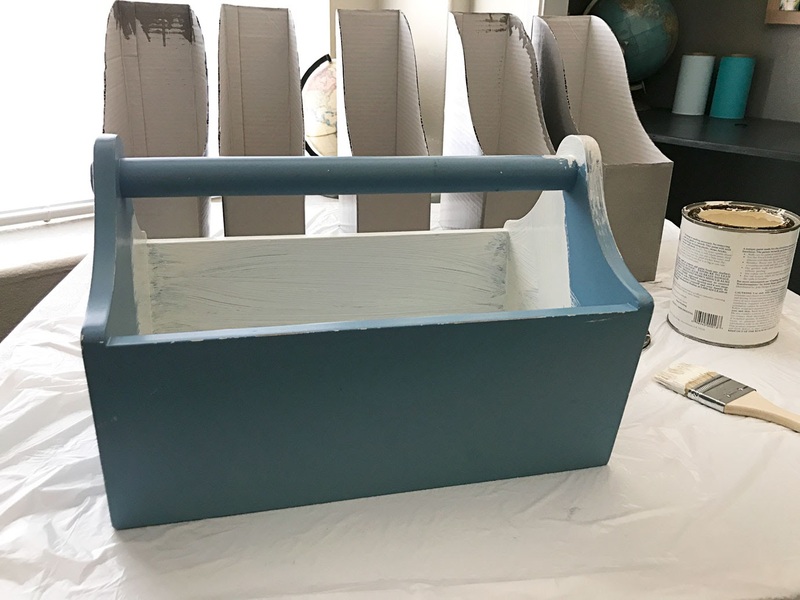 I didn't sand or prime, just used a cream/off white color from an old can of Annie Sloan Chalk Paint I had laying around. When it was dry I added some jute twine rope to the handle. I used hot glue to help keep it secure, and just wound the rope around. That's all I did! Amazing what a little paint can do, right? My favorite use for the tool box is keeping school assignments in it for the day. It works perfect as a "homework keeper". P I N I T! 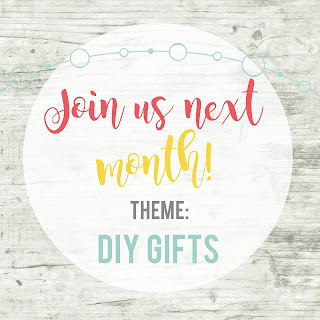 Check out the projects linked up below, and join the party and link up your favorite Thrift Store Makeover! I'd love to see it! 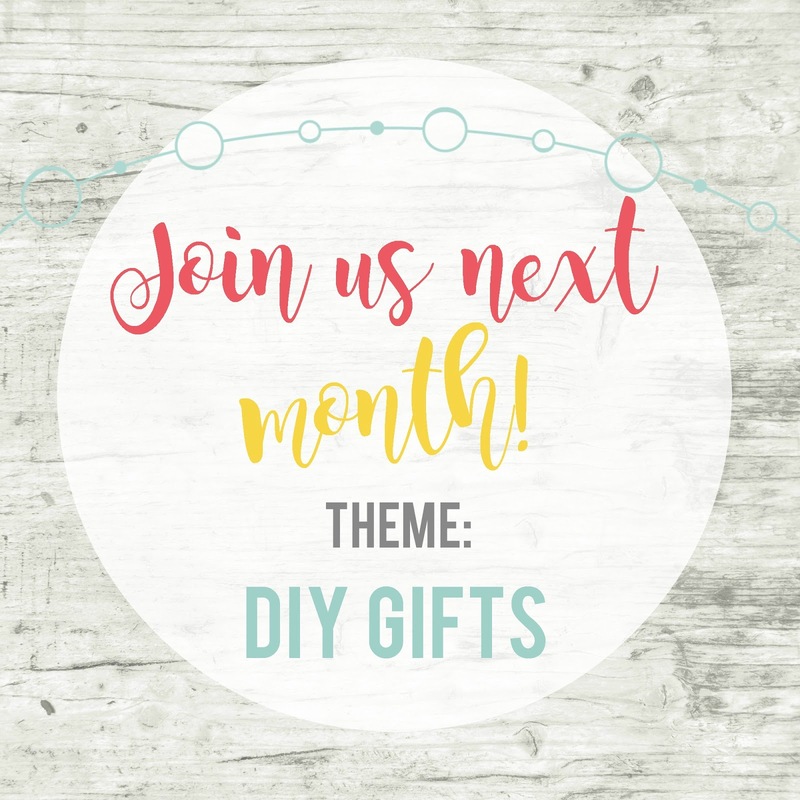 Be sure to stop by next month...the Inspire My Creativity theme for November is DIY Gifts. I love this farmhouse look!! What a great find.It turned out so beautiful. I love the color you chose. 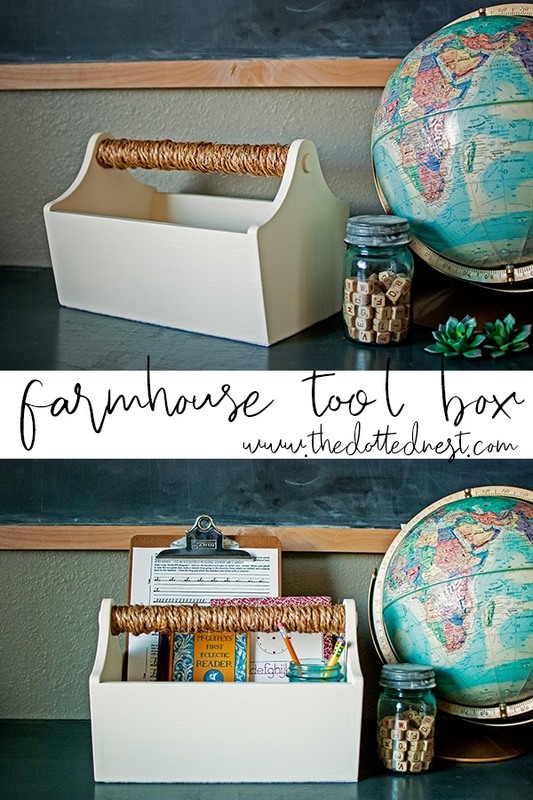 I have a container problem and can think of TONS of things I would put in that pretty farmhouse tool box! Great job! Haha! I do too! It will probably travel from room-to-room eventually. OMG - those little dolls are everywhere! I kind of wish I had thought that idea up. You know they're raking in the bucks! 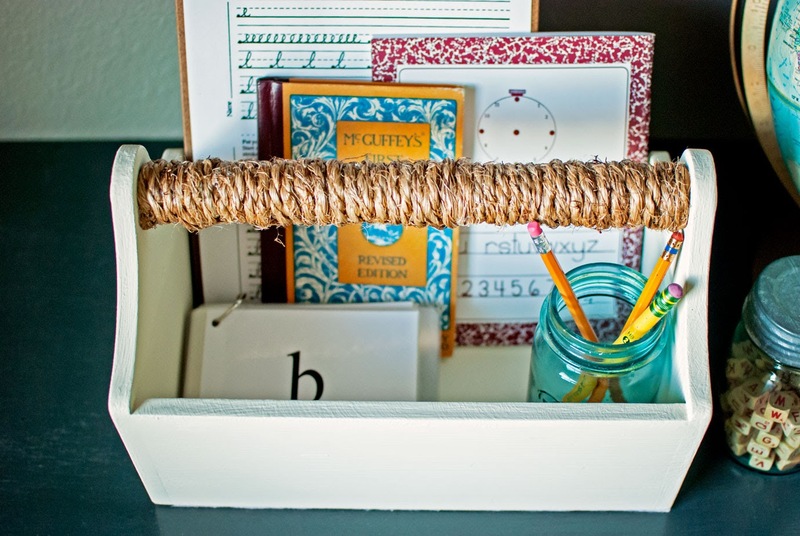 I love how this came out, especially with the twine! 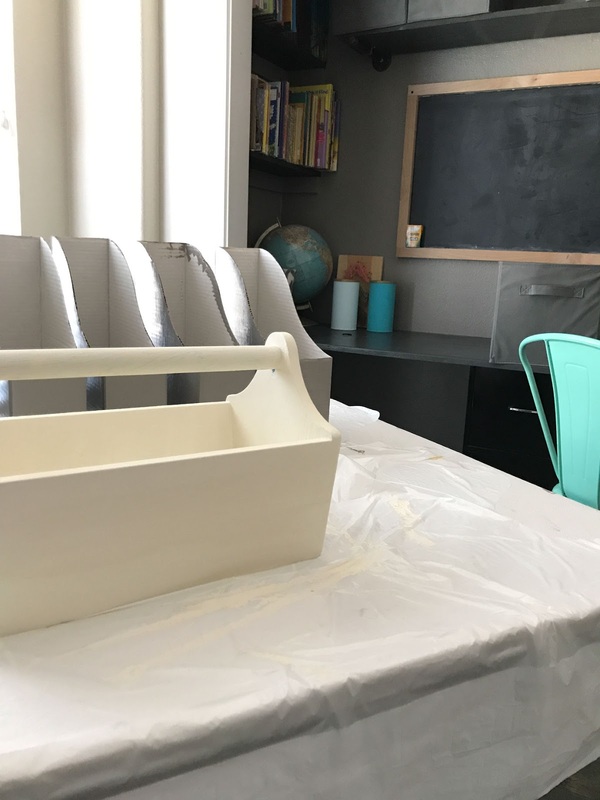 Chalk paint is awesome! 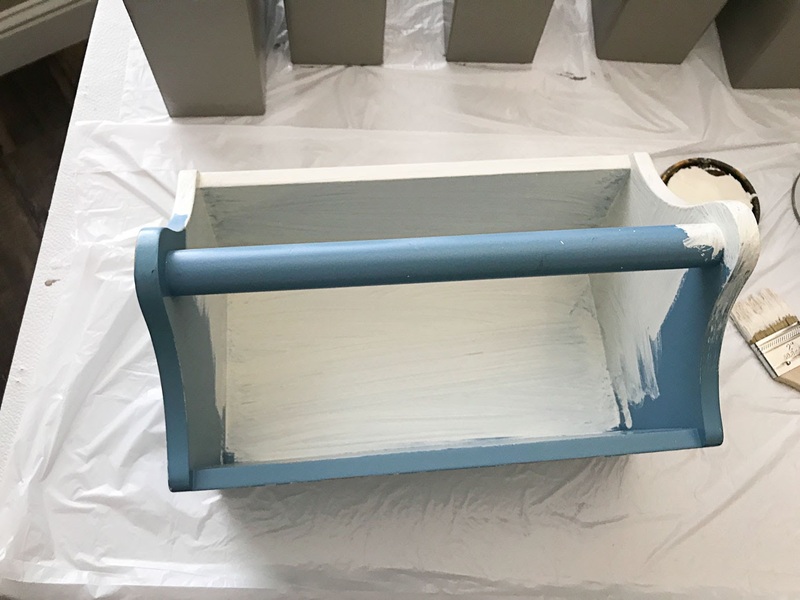 Chalk paint is the best! Chalk paint makes everything look so nice, I think. 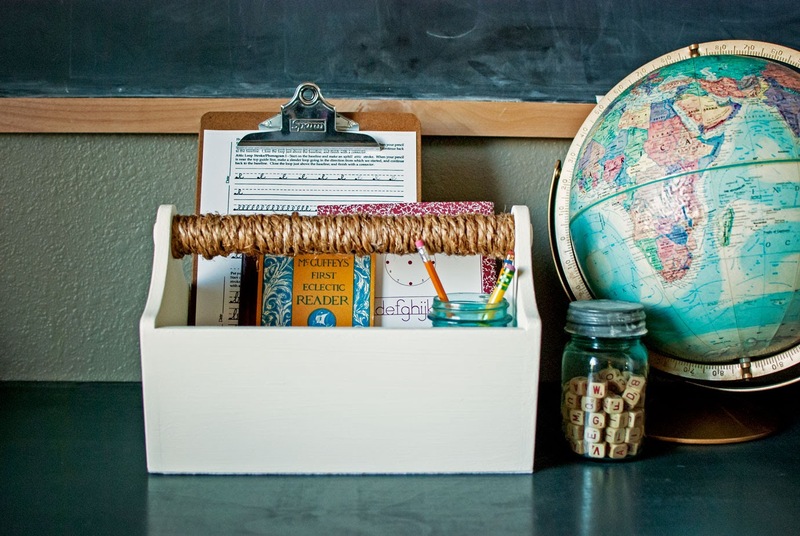 A homework station is the perfect use for that toolbox, too. Great project! Thank you! 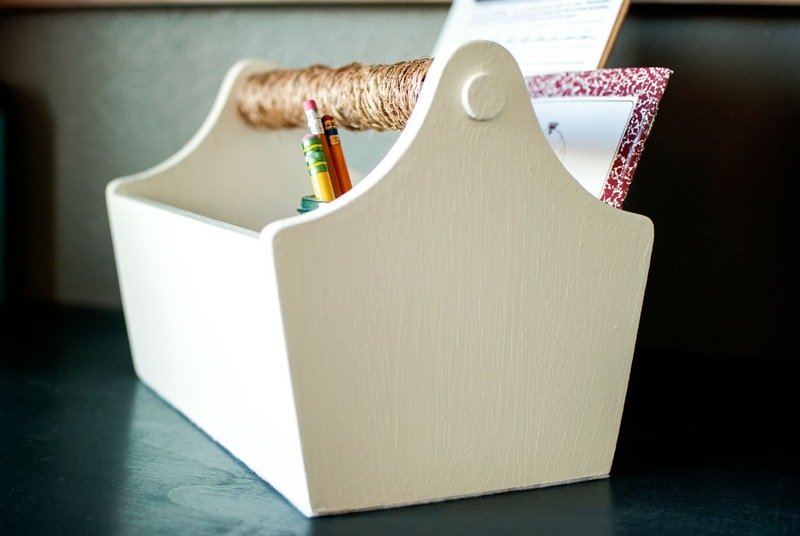 And yes - chalk paint is awesome! Looks awesome! 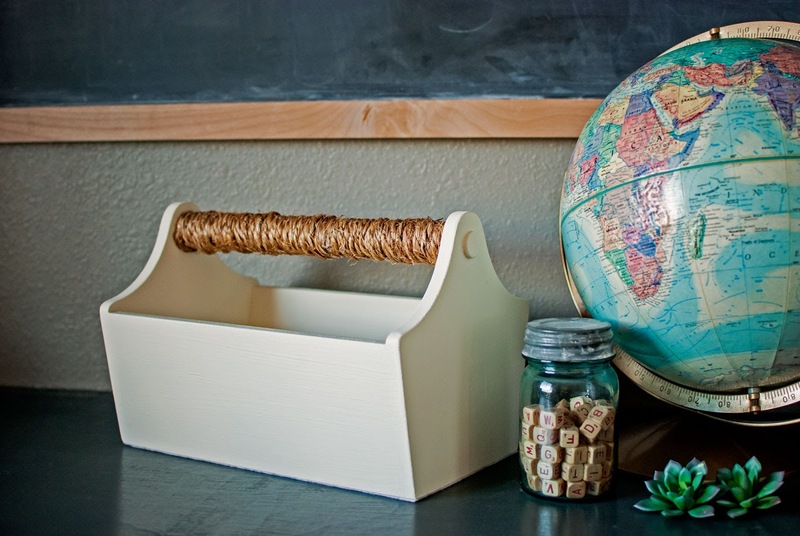 Super handy when you have young students in the house and their supplies are everywhere! 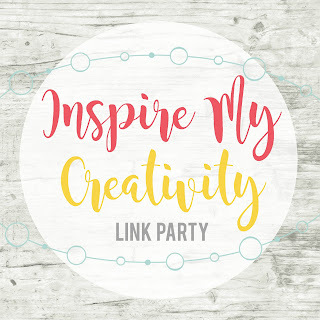 Visiting from Inspire My Creativity party. Yes - its definitely helpful to have things all put together in one spot! That paint made such a huge difference! The twine on the handle is a perfect touch too. I love how it turned out! Thank you! I love twine, its one of my favorite craft supplies!